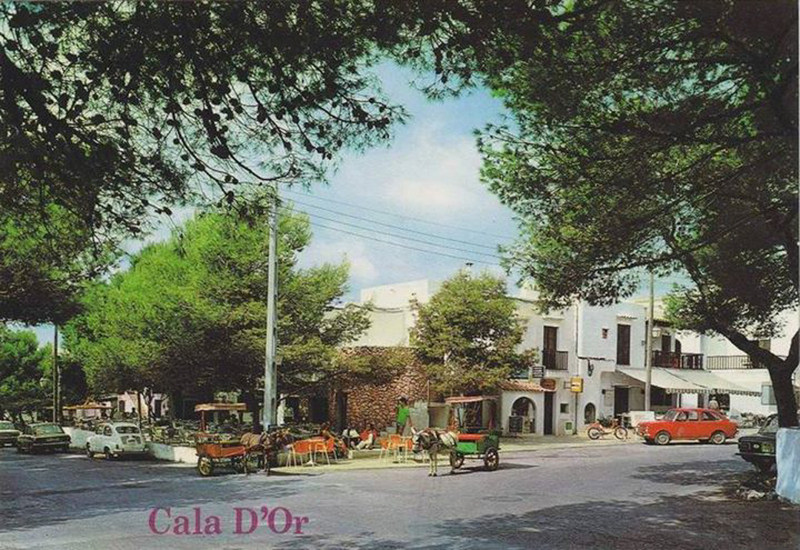 Cala d’Or was founded by Josep Costa Ferrer during the late Thirties. He was soon known by everybody as Picarol. As he did not originate from Mallorca but had come from Ibiza, he decided to build the new settlement in the Ibizan style of architecture, with all buildings in white, of a cubic shape, no higher than two storeys and with a flat roof. When Picarol died in 1971, the resort – Mallorca’s oldest holiday urbanisation – must probably have looked like in this old postcard, quite possibly from the early Seventies. Credit and thanks are due to fotosantiguasdemallorca@blogsport.com.